This March, the SPAM® brand’s first-ever spokescharacter, Sir Can-A-Lot™, takes his playful personality and popularity to the next level by helping people everywhere “Break The Monotony®” of their everyday lives. Partnering with Roy Choi of Kogi BBQ Truck fame, Sir Can-A-Lot™ will use social media to connect with brand fans distressed by daily dullness to achieve their mission of ridding the world-wide-web of mealtime boredom. Beginning March 1, the animated Sir Can-A-Lot™ takes over the social media properties of the SPAM® brand. Throughout the month, he will seek out and respond to Internet users suffering from routine meals and boring tweets, addressing many of them personally with a unique web video. The videos will be written, recorded and fully-animated in real-time, allowing Sir Can-A-Lot’s™ personality to shine. 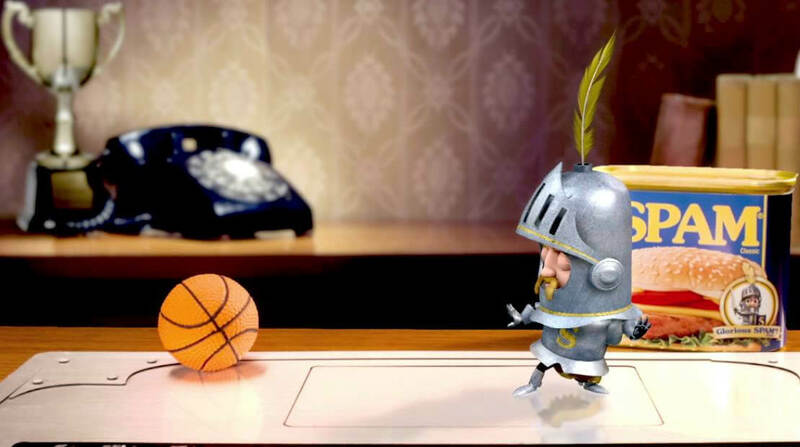 The creative execution is being managed by BBDO Proximity Minneapolis, with Laika House creating and animating the Sir Can-A-Lot™ spokescharacter. The action will be focused on the SPAM® brand’s Twitter, YouTube and Facebook pages. Choi’s recipes will inspire creativity among consumers and provide new ways to cook with the new spicy flavors of SPAM® Jalapeño and Black Pepper. Alongside Sir Can-A-Lot™, Choi will be active in the digital space engaging with fans and media. Choi is often considered the godfather of the food truck movement and is the chef and owner of four restaurants in Los Angeles, including the well-known Kogi BBQ gourmet food truck. Roy Choi was born in Seoul, Korea and raised in Los Angeles, California. He graduated from the Culinary Institute of American in 1998 and went on to cook at the internationally acclaimed Le Bernardin. He was named Best New Chef by Food & Wine in 2010 and he and his Kogi BBQ team are recipients of a 2009 Bon Appetit award for excellence in culinary innovation. Choi is the co-owner, co-founder, and chef of Kogi BBQ, as well as the restaurants A-Frame, Chego!, and Sunny Spot. He lives in Los Angeles, California.